This example shows how to jointly tune the inner and outer loops of a cascade architecture with the systune command. We use a PI controller in the inner loop and a PID controller in the outer loop. 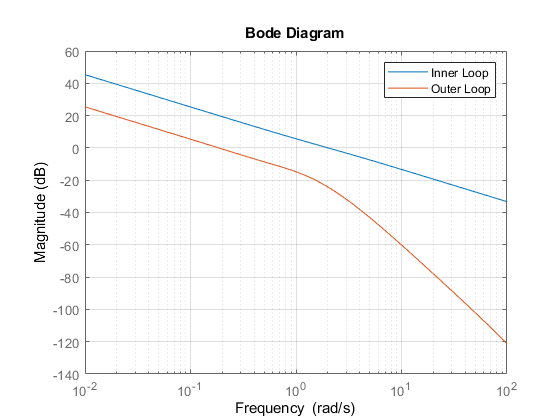 The outer loop must have a bandwidth of at least 0.2 rad/s and the inner loop bandwidth should be ten times larger for adequate disturbance rejection. 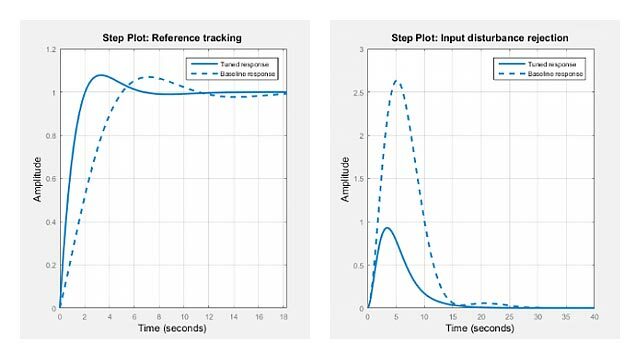 When the control system is modeled in Simulink, use the slTuner interface in Simulink Control Design™ to set up the tuning task. 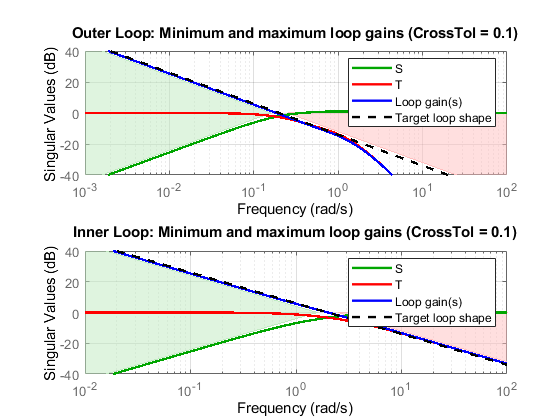 List the tunable blocks, mark the signals r and d2 as inputs of interest, and mark the signals y1 and y2 as locations where to measure open-loop transfers and specify loop shapes. 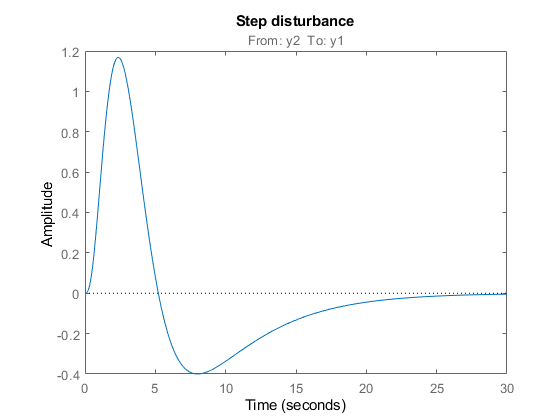 You can query the current values of C1 and C2 in the Simulink model using showTunable. 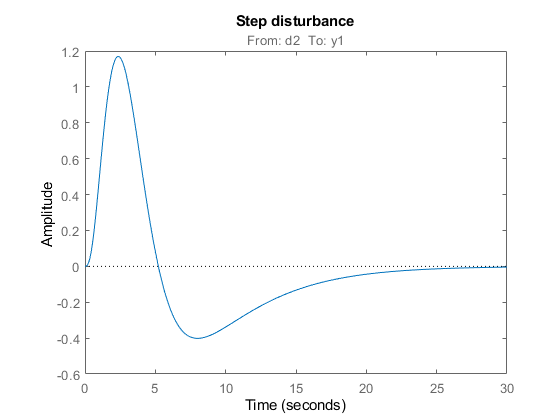 The control system is unstable for these initial values as confirmed by simulating the Simulink model. Use showTunable to see the tuned PID gains. Once you are satisfied with the linear analysis results, use writeBlockValue to write the tuned PID gains back to the Simulink blocks. You can then conduct a more thorough validation in Simulink. If you do not have a Simulink model of the control system, you can perform the same steps using LTI models of the plant and Control Design blocks to model the tunable elements. First create parametric models of the tunable PI and PID controllers. Then use "analysis point" blocks to mark the loop opening locations y1 and y2. 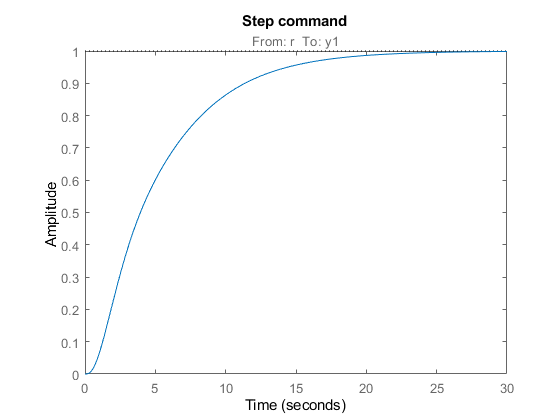 Finally, create a closed-loop model T0 of the overall control system by closing each feedback loop. The result is a generalized state-space model depending on the tunable elements C1 and C2. You can now tune the PID gains in C1 and C2 with systune.